The Canadian Football League has approved measures aimed at controlling football operations costs beyond those of player salaries, according to league sources. 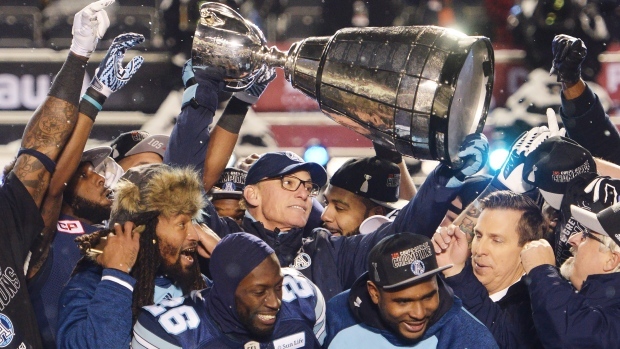 The CFL has had a salary management system for more than a decade that applies to players. However, costs related to coaching and other non-player football expenses haven’t been capped – until now. The new measures will limit teams to a coaching staff of 11 and other football operations staff to 17. The total compensation for those 28 employees is not to exceed $2.738 million. Player salaries are capped at $5.2 million for the upcoming season. These measures, passed recently by the league’s board of governors, will go into effect for the 2019 season. The league is also planning to enact measures that would control costs on other non-player football expenses, like mini-camps and scouting budgets. The subject of non-player football expense was discussed in January when the team presidents met in Banff, Alta. While the new measures may result in some teams having to cut costs before the start of the 2019 season, the league’s primary objective is to prevent the escalation on non-player football operations.